Beacon recipe time!! Want a unique spin on a classic meal?? 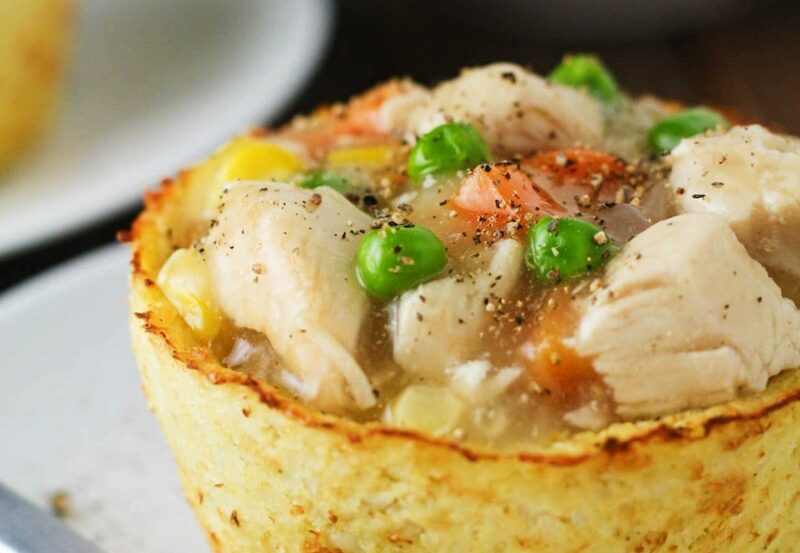 Try this low carb cauliflower pot pie!! Preheat oven to 400 degrees F. Add the cauliflower to the bowl of a food processor and pulse until you achieve a rice-like consistency. Transfer cauliflower “rice” to a bowl and microwave for 5 minutes. Set aside and allow cauliflower to cool for approx 10 minutes. Add the cauliflower rice to a cheesecloth and squeeze out as much of the juice from the cauliflower as possible. If you don’t, the bases may end up soggy. (The key here is to really get as much of that juice out as you can. Once you have done a round with the cheesecloth. Repeat with another dry cheesecloth to ensure you have removed a majority of the liquid. I managed to get 1 1/2 cups of cauliflower juice). Add the dried cauliflower rice to a bowl with the egg, parmesan cheese, salt and pepper. Using your hands, combine all of the ingredients thoroughly. Spray a large muffin pan or 4 ramekins and gently press the cauliflower mixture to the sides, creating a cauliflower bowl. Bake for 20-25 minutes or until the centers are dry and the edges are golden brown. While the cauliflower bases are in the oven, spray a medium saucepan with cooking spray and saute the diced onion on high heat until slightly tender. Reduce heat to medium and add the chicken broth, almond milk, mixed vegetables, onion powder, salt and black pepper. Stir and cover for approx 5-8 minutes or until frozen vegetables are soft. Mix the cornstarch with the water to make a slurry and add to the sauce with the cooked chicken. Stir in the cornstarch mixture and increase heat to high and cook until sauce begins to boil. Remove from heat. Fill each cauliflower base with the pot pie filling and serve!